In this engineering area, Hipra is specialized in design and installation of high voltage electrical equipment in GIS and AIS substations. Civil work engineering compiled with electric engineering is another part of our offer that cover all your need in this field of electrical industry. Hipra has completed many electrical engineering projects in partnership with the Canadian company Point Comm. Over the last decade, this partnership has been involved in several successful turnkey projects with European and Japanese electric equipment manufacturers. We can proudly say that all of our common projects were completed under budget and on time. 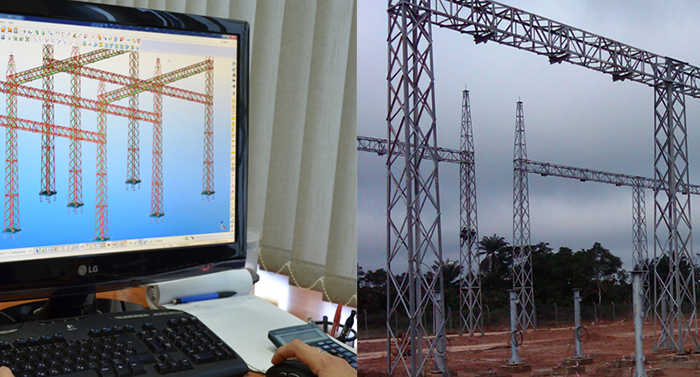 Foundation design and calculations for gantries lattice towers, supports for electrical equpiment. By adding architecture of control building and HVAC system, we are covering all parts of engineering required for designing GIS and AIS at high voltage substations.